John Singer Sargent (1856–1925) is hailed as one of the greatest portrait painters of his era. He is famed for his portraiture of aristocratic subjects and these have been compared with the work of painters like Velázquez (1599–1660) and Van Dyck (1599–1641) for their theatrical quality. Portraits are probably what he is most known for, but Sargent painted many subjects with many mediums. In this week’s blog we will be exploring some of these other avenues and looking at the many sides of John Singer Sargent. Sargent produced in excess of 2000 watercolours over his life. He began painting watercolours as a child simply to record what he saw. Many of these paintings are made up of landscapes or depict scenes like boats or towns. Even the still subjects have a very dynamic appearance that is in stark contrast to Sargent’s portrait work, which tends to be more rigid and orchestrated. 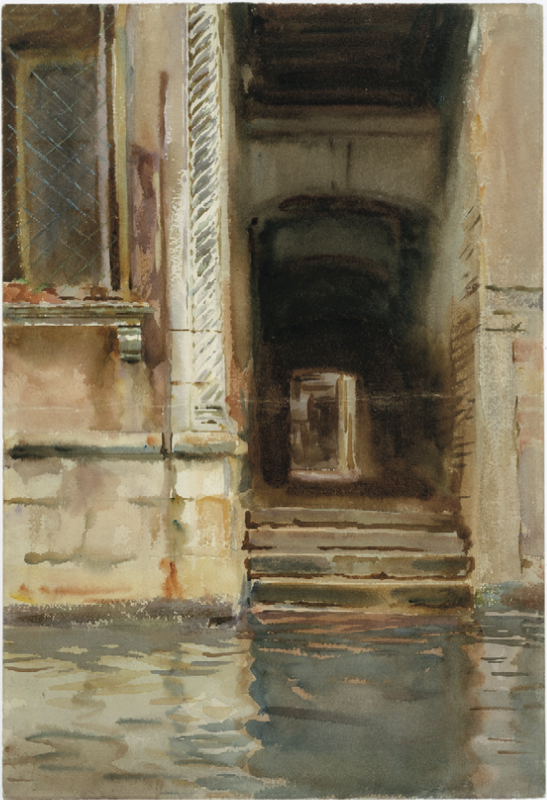 Sargent lived by a motto of painting what he saw and this is far clearer in his watercolour work, which seems less focused on orchestration or presentation and more on recording or cataloguing experience. Critic and friend Violet Paget (1856–1935) contested Sargent’s motto suggesting he did not realize his own selective vision. In a sense he saw what he would paint and then painted what he saw. There was still a selection process in what he considered of value to paint but this does not remove the beautiful dynamic quality that can be found in his watercolour work. Sargent’s murals were entirely different to his watercolour and portrait work. All his murals are in the Boston and Cambridge area split between the Museum of Fine Arts, the Boston Public Library and Harvard’s Widener Library. His Murals at the Boston Library are by far the largest in scale; Sargent worked for around 25 years on these murals. Their focus is on the development of religion beginning with pagan gods and moving through to the formation and rise of Christianity. These murals are of a huge size and draw on influences Sargent had found while travelling throughout Europe. With artistic reference to Raphael (1483–1520) and Michelangelo (1475–1564), and thematic reference to religious renaissance art and ancient wall painting (similar to that of Egypt), Sargent’s murals span subject matter and style dating back millennia all the way up to the time he was painting. They were not met without criticism. Some felt his depictions of Judaism reinforced medieval and renaissance representations of the Jewish faith and positioned it as failing in comparison to the flourishing of Christianity. This caused Sargent to leave the Murals unfinished, choosing not to complete the last piece. When Sargent returned to England in 1918 he was commissioned as a war artist. His war art made an incredible combination of his oil and watercolour painting while also having the depth and message of mortality that his murals had shown. Sargent appeared at ease with the war zone and was welcomed in by Field Marshal Haig (1861–1928). He was tasked with showing the American and British troops working together but struggled to find situations that lived up to the scale he imagined. He produced some watercolours and sketches of soldiers and an impressive oil painting of Arras cathedral, but it was at an unexpected moment away from the frontline that he would find the image he was looking for. During the Battle of Arras, the Germans were using mustard gas. The gas was not immediately effective but as the day heated up this caused the gas to move and settle on several squadrons. As hundreds of afflicted soldiers were being moved while others lay burned and blindfolded, Sargent found the epic subject matter he had been waiting to capture. The result – the painting entitled Gassed – is a rather haunting and glory-less view of what war looks like. Sargent’s work spans genres, styles and mediums, and he was successful in portraying a myriad of experiences through his artwork. With a mixture of sedated upper class individuals and serene landscapes all the way to the process of war or bustling towns, Sargent was able to capture images of people’s lives and show them to the world. To forget about the incredible work he did outside of aristocratic portraiture would be to forget some of his greatest work. This post is based off extracts from our book John Singer Sargent (ISBN:9781786645463). 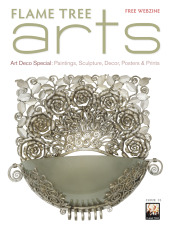 This title is part of our Masterpieces of Art series which is packed, with tonnes of information and beautiful images. You can order it from our website here or on Amazon here. Check out all of the MoA blog posts from 2018!